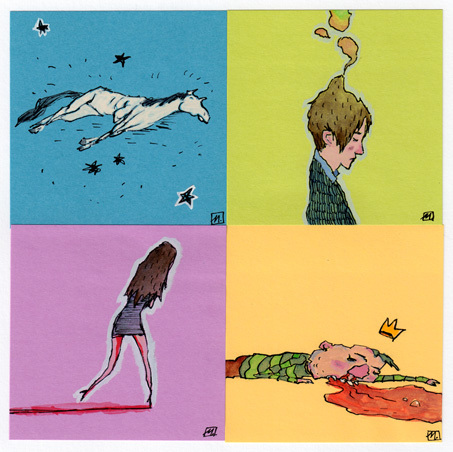 4 Post-Its that I contributed to this year’s Giant Robot Post-It Show 7. There are a lot of amazing artists participating and $20 can get you a 3″ x 3″ piece of OG art should you decide to attend. The Opening Reception happens this Saturday, Dec. 10, starting at 6:30 pm at GR2, Los Angeles. More info here. ~ by monkmus on December 6, 2011.